If you've spent even one snack or mealtime with a preschooler, you KNOW how "picky" they seem to be! However, it is not just that they are "being picky". They are NOT trying to drive you, or their parents, crazy! 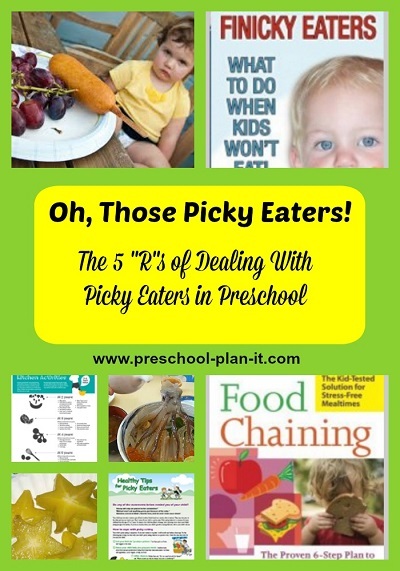 What we call picky eating is very common in the preschool (and toddler) years. Let's look at WHY they seem picky and then talk about some tips to help. This post contains affiliate links to products I think might be helpful to you on this subject. 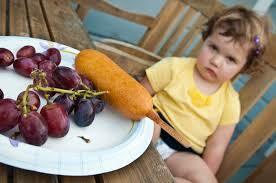 Why Oh WHY Are Preschoolers Such Picky Eaters? From birth, children learn through their senses. They touch and taste everything as infants--toys, clothes, their caregivers' arms and hands! This is how we all learn about the world around us. When it comes to food, you and I also use our senses to determine whether or not we want to try a food. If a food smells a certain way or looks a certain way, we may be inclined to try it--or not! If you like chocolate, you'll want to try that death by chocolate triple layer cake. If you don't like chocolate, that cake looks like a disgusting mess to you! If you like the smell of vanilla or cinnamon, you'll be inclined to try a new beverage that has that scent. If you don't like those smells, you won't even take a sip. And we make these decisions in our heads before we have even given a new food a chance. For adults, many times the decision is made because we have tried a similar food before and did not like it. Although preschoolers may not have tried a specific food before, they make decisions about trying foods based on the look, feel or smell of the food in front of them. It is based on what they think it will taste like based on the smell and sight of the food. It is sometimes referred to as Food Neophobia, meaning the reluctance to eat (or the avoidance of) new foods. What should you do? How do you get them to at least try "one bite" of the food? Well, all you can do is offer the food. You cannot, and SHOULD not "make" them try it. If you do force the issue, you are setting yourself up for a huge challenge. Imagine that your friends know that you love seafood. And you have tried squid before and liked it. .....you don't want to try it....it looks gross to you, so you decline. But, they insist that you HAVE to take one bite. No questions asked. No respect for your decision that you don't want to. What is happening in your head at that moment? For me, I'd think that looks far too much like the actual squid to even try it. It looks alive. Even if I was assured it was not alive I, personally, would not be able to try this. "Why not? It's dead! You like squid. It's okay" the friends say. Well, preschoolers think the same way. Jell-O may seem freaky to them. Mashed potatoes and gravy are too "slimy". So, what DO we do to help them to try knew foods? There are many articles written on this subject and I've read many of them. They all have 5 common tips and suggestions. The first 5 below are those Top 5 tips with several more following them. Click Here To Learn More about this GREAT book! This is NOT what you were expecting, I know. It was not what I expected either, I mean, after all, it's not a tip to help! But, really, it is! Much like our discussion above, we need to respect children's appetites, lack thereof and their decisions whether or not to try a food. This does NOT mean being a short order cook and continuing to offer food after food until you find one that they like. It means you are offering a new food IN ADDITION to the snacks/foods you already know they like. If they decide not to try it, so be it. Your job is to offer the food, not make them eat it! Be Patient when introducing new foods. 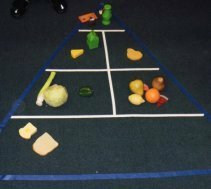 Preschoolers' palates change, much like ours do. Don't offer a new food a day or a week. Offer a new food often and for a longer period of time. If you are trying to introduce a new, green vegetable to your group (such as broccoli), offer it throughout the month as an extra choice for snack. Many times children will try a food that they helped to prepare. During preparation, they have had the time to touch, smell, cut and explore the food. With our broccoli example, have children help to wash and cut the broccoli. Have them help place it in serving dishes. Perhaps they can even walk around and offer it to others! 4. Rev' Up The Fun! Make food fun! Give them time to explore the food in fun ways. I know many think this is "playing with their food". I am talking about giving them the time to explore the food. Why do you think Animal Crackers are so popular with young children? Because they look like something children recognize: Animals! Children will roar like a lion or make an elephant sound when holding one. Or they will have the tiger cookie chase the rhinoceros cookie before eating them. While they are "playing" they are exploring. They are able to touch the cookie (feel its texture), smell the cookie and then take a small taste of it. Do the same with new foods. Talk about the broccoli and what it looks like. Typically, you'll have one child who says it looks like a tree. Go with it, talk about trees. Talk about animals that eat trees such as Giraffes and the leaves they eat, or the types of leaves bears or sloths might eat. Discuss vegetables that look like leaves and trees. Perhaps serve the broccoli with animal crackers! Their animals can pretend to eat the tree and then perhaps they can try it! Every article I've read makes mention of being a good role model. If you expect other children to try new foods, you need to be willing as well. Don't just try foods you know you like. Be willing to taste a new food you have never tried. Be sure to let the children know you have never tried it before as well! 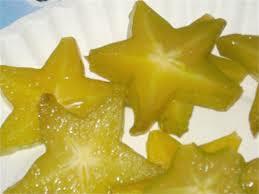 One year, a co-teacher brought in Starfruit for us to try. We were talking about the Ocean and Starfish, so it was a fun choice. I had never tried it before. What does it taste like? (introducing the words sweet, sour, etc.). One of the children, who had never tried Starfruit before) sat next to me and said, "Miss Cheryl-- I'll try it if you'll try it." Two other children decided they would both try a bite at the same time. Being a Role Model for trying new foods is important. Children watch what we do and what we say. We need to reflect what we want to see in children! Informative articles like this to your email each week, a full week's theme with printable activities on the 1st of each month and more! There are several more tips and resources I found in my reading. Presentation of food can encourage trying food. Present new foods in a colorful and fun way. Offer a variety of colors to make it more appealing. Offer dipping sauces children like (such as vanilla yogurt for fruit or ranch dressing for vegetables). We talked about this earlier. Your job is to offer food, not make them eat it. Only they can decide whether or not they are going to eat. 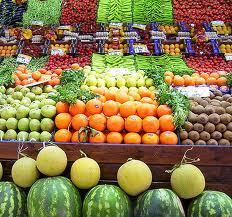 Provide the foods you typically would in addition to a new food to try. If you're not sure of the amounts, you can read more about that in my Nutrition Guidelines article. Please, do not bribe children to try new foods. By doing so, you are letting them know that the very food that you are suggesting they eat or try must be pretty bad if you need to offer a treat if they will at least try it. You are essentially labeling this new food as "bad" by doing this. Conversely, do not EVER refuse to allow a child to have a treat or dessert (or sticker or other reward) only if they try the new food. Again, this tells them that the food must not be a good thing if it needs a bribe. In addition, it is so disrespectful of the child's food palette. The only way they can get that "thing" (sticker, dessert, etc.) is if they do something that is not at all comfortable for them to do. Think about the squid video above. There is no amount of money that could have gotten me to try that! In addition, imagine if you had not eaten all day and you were told that you HAD to try that squid or you could not have anything else to eat? 9. Do not EVER withhold food. Refusing a child to have a special snack or treat that they love ONLY if they try a new food (or, for that matter, if they do a certain thing or behave a certain way) borders on Corporal Punishment by most state standards. Withholding food for ANY reason is wrong....even if it is an extra treat. Refusing or withholding that food item if they "don't at least try" a food is not going to make most children try a food. It will leave that child A. Still not having tried the food in question and B. Frustrated, sad and perhaps crying because you decided that their decision to not try a food was not worthy of the special treat you have for the class. Okay, what happens when your children will not eat the very meal they are being served for lunch or snack? What then? Again, you need to realize and accept that it is NOT your job to MAKE them eat. It is your job to provide the food. You cannot force eating. You should not be a short order cook who makes offer after offer to get a child to eat, nor should you be one. Be certain that the meals served have a selection of foods. They may not eat the mashed potatoes but will eat the carrots. They may not eat the broccoli but will eat the chicken. If the parents provide the children's lunches, you can be almost certain that the foods packed are foods that the children like. If a child does not want to eat, then allow them time to change their mind, but don't force the issue. There could be many reasons for it: They ate too much snack and are not hungry. The snack they had was very filling. They are tired. Etc. We used to place a note in the lunchboxes to let parents know if their child did not eat their lunch or snack. If it becomes a habit, call the parent one evening and talk about the types of foods their child likes, doesn't like, etc. Offer your observations of what the children say about certain foods, etc. You cannot make them eat. Don't try to bribe them or otherwise get them to eat. Provide the food choices and provide the time. 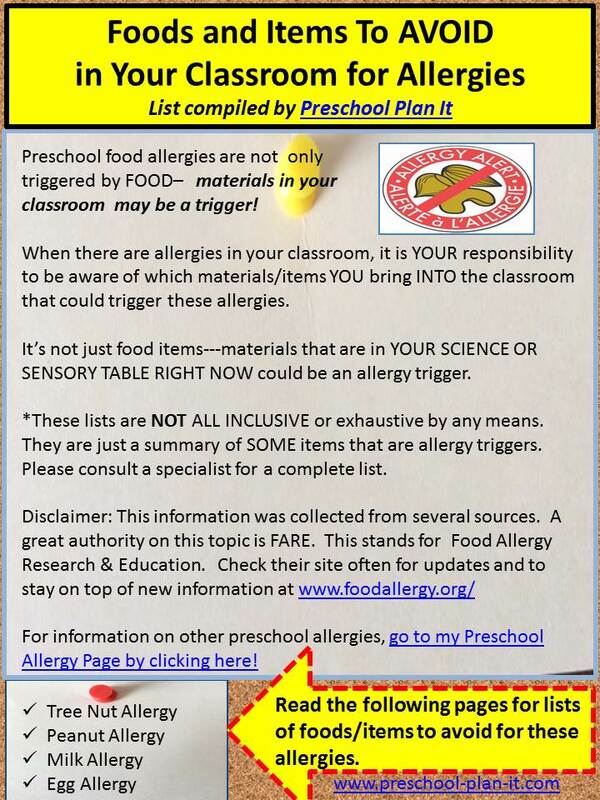 Provide families with information about preschoolers' discriminating palettes and work through it together! The Mayo Clinic has 10 steps for dealing with picky eaters in their article here. The USDA has an article on Picky Eating as well here. PBS offers some suggestions here as well. The USDA has this great FREE poster you can print and send to parents! 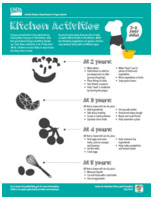 The USDA also has this FREE poster about Kitchen Jobs for children to send to parents! Add This Book Finicky Eaters to your Parent Library for them to borrow to learn more. Add This Book to Your Parent Library as well.